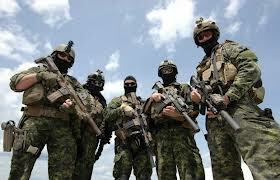 After watching Act of Valor I thought it would be fun to look at how these Special Operations Forces (SOF) soldiers would prepare physically for their missions. Historically, the focus of conditioning in the military has been on aerobic based endurance training, along with calisthenics and light weight resistance circuits. This is generally due to the greater ease of implementing this style of training with large numbers, along with the fact that the training is geared more towards performance on aerobic components of the annual fitness tests, rather than on real-world mission requirements. However, "in the modern era of the 'anaerobic battlefield', one does not run into battle; rather, strength, power, and functional capabilities play vital roles in the war fighters success (2)". Tasks for SOF soldiers can range from carrying very heavy loads for extended periods of time, short bursts of high intensity physical activity, lifting heavy loads, and climbing, all the while wearing heavy personal protective equipment. The SOF soldier's training must reflect these requirements. This article is meant to take a quick look at current research on the physical demands of the SOF soldier, paired with a brief look at how a periodized program meant to prepare them for the physical tasks they will see in their preparation for, and on the battlefield, would look. 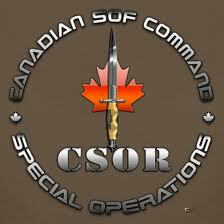 Let's take a look at the Canadian Special Operations Regiment (CSOR). 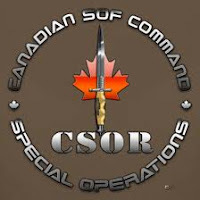 Personnel applying to CSOR, will be put through a number of phases to determine whether they possess sufficient levels of critical attributes to successfully perform SOF tasks (1). 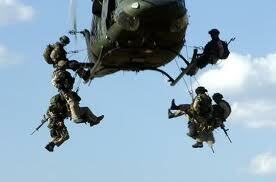 The most physically demanding of these phases, is the Assessment Centre (AC). A study (1) performed on soldiers passing through the AC determined that the physical tasks with the highest frequency were carrying, lifting, and lowering. Additional physical fitness components required to be a SOF soldier are aerobic capacity, maximal strength, muscular endurance, balance, and anaerobic power. The study (1) determined that CSOR applicants were more likely to complete the AC if they possessed above average scores for the VO2Max, 1RM squat, and continuous pull up tests. Other tests performed were push ups, sit-ups, grip strength, 1RM bench press, and vertical jump. As a result of this study (1), a 12-week undulating strength & conditioning program, now known as the "CSOR Pre-selection Physical Fitness Training Program", was developed to prepare new recruits for the CSOR Assessment Centre. The program made sure to contain all the physical fitness components outlined within the study (1). The program includes: maximal strength lifting, metabolic strength circuits, core stability circuits, aerobic intervals, continuous aerobic runs, tempo runs, muscular intervals (sprints followed by calisthenic exercises), technique focused sessions, swimming, plyometrics, and weight-loading marching. Soldiers would train twice a day, five days a week, with one day dedicated to active recovery, and one day allotted for complete rest. Maximal Strength Lifting: Intended to increase maximal force production. Lift in the range of 3-6 repetitions. Use full body lifts such as the squat, deadlift, cleans, bench press, pull up etc. Don't sacrifice technique for the amount of weight lifted. Power Training: See my previous posts on Explosive Training Done Right and Weighted Explosive Training. Metabolic Strength Circuits: Circuits have shown greater correlation to performance in weight-loaded marching compared to solely performing cardiovascular training or resistance training. These circuits are designed to increase local muscular endurance. There are a variety of exercise prescriptions to be used here. A few general rules: 1) Choose at least 2-3 compound exercises 2) Lift at least 8-10 repetitions for each set/each exercise 3) Use short rest periods (i.e 30 seconds) 4) Choose a weight you can maintain perfect form with 5) Get your heart rate up! Check out Martin Rooney's Warrior Cardio for a wide variety of exercise combinations and schemes to make up your muscular strength circuits. Remember: Quality of reps over Quantity of reps! Aerobic Capacity: SOF soldiers improve their aerobic capacity by including continuous running, tempo runs, and aerobic intervals into their weekly training program. Tempo runs should be performed for 20-30 minutes at your anaerobic/lactate threshold. Continuous running as part of the CSOR AC training program should consist of 10km runs. Aerobic intervals should consist of a work:rest ratio of 1:1, 1:2, or 1:3, with the work intervals lasting 3 to 5 minutes. Heart rate targets and run times were determined as per the mean VO2Max value of 55 ml.kg-1.min-1, which was determined in the study by Carlson & Jaenen (2012). Muscular Intervals: These intervals are meant to increase the SOF soldiers anaerobic capacity. This concept consists of a 30 second sprint followed by 2-3 exercises as part of a strength circuit. To start, the 2-3 exercises should consist of bodyweight exercises. As you become more experienced, you can switch to full body resistance and strongman exercises such as deadlifts, thrusters, tire flips, and sled pulls/pushes. Technique Lifts: Technique lifting consists of performing technical lifts with a lighter load and focusing on using optimal technique. This is meant to reinforce correct lifting technique, as well as help facilitate active recovery. Swim Training: Used to develop swimming specific aerobic power and capacity, as well as eliminating ground reaction forces on the body that can spare stress on the joints. I hope that this post had shed light onto how Special Operations Forces train. If you are training for basic or advanced training in the military or police force, you will need to be a well rounded athlete with capabilities of safely picking heavy objects up,carrying heavy objects a long distance, and safely putting heavy objects down. Train properly for the anaerobic battlefield, do not emphasize running long distances over being strong and powerful. If you have any questions regarding anything, please e-mail me at Info@SeanDelBen.com. You never fail to amaze me with your work and when you present something that is quite interesting, air force training is the best and the most interesting topic one can see.